The MDC notes with suspicion the release of information pertaining to resignations at the anti-corruption commission.While we would accept that the commissioners had failed dismally to deliver on their mandate during their tenure, half the time they fought Zanu PF factional battles using public resources. In a current global indices, as far as corruption is concerned, Zimbabwe ranked badly and the commission never succeeded, not even once, to deal with culprits even in obvious cases like the missing $15 billion dollars,the salary gate among other episodes of graft. Despite the dismal failure, the Commissioners were occupants of constitutionally created offices. The public is therefore entitled to full details leading to their mass resignations as highlighted in the letter released by Dr Misheck Sibanda. The information is for public consumption, it cannot be a privilege of individuals, keeping it under wraps will be abuse of office. We are of the view that the information must be used to shape effectiveness of the Anti-Corruption body in the future. 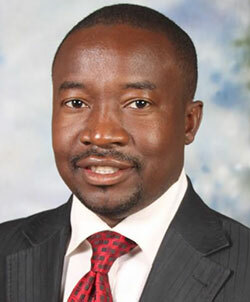 The MDC hopes no force or coercion resulted in the resignations. Only the release of full details will answer all the issues the people of Zimbabwe have. The MDC is wary of the growing tendency of undermining constitutional bodies by the Zanu PF government including the insults hailed at the Human Rights Commission and the setting up of parallel structures in Mnangagwa’s office. Instead of setting up an unconstitutional corruption watchdog in the presidency, the following suggestions we made in our SMART pledge must be implemented. 2. Setting up special criminal courts to deal with corruption and economic crimes. 3. The right and mechanism for a direct recall of elected officials by the electorate. 4. Mandatory declaration of assets for public officials. 5. Regular State sanctioned lifestyle audits. 6. Limited Terms of office for all senior public executives including heads of State enterprises and parastatals. 7. Strengthening transparency mechanisms on State procurement including the introduction of public bidding on major public tenders. 8. Increased access to information for citizens including publication of terms and conditions of public and public- guaranteed contracts. 9. Strengthened oversight role for parliament in all public enterprise. 10. Strengthened oversight role for the Civic Society and the Media.